This year, Easter is arriving a bit earlier than most years (Sunday, April 1st). Every restaurant owner understands the importance of taking advantage of a traditional holiday and using social media to spread the word. 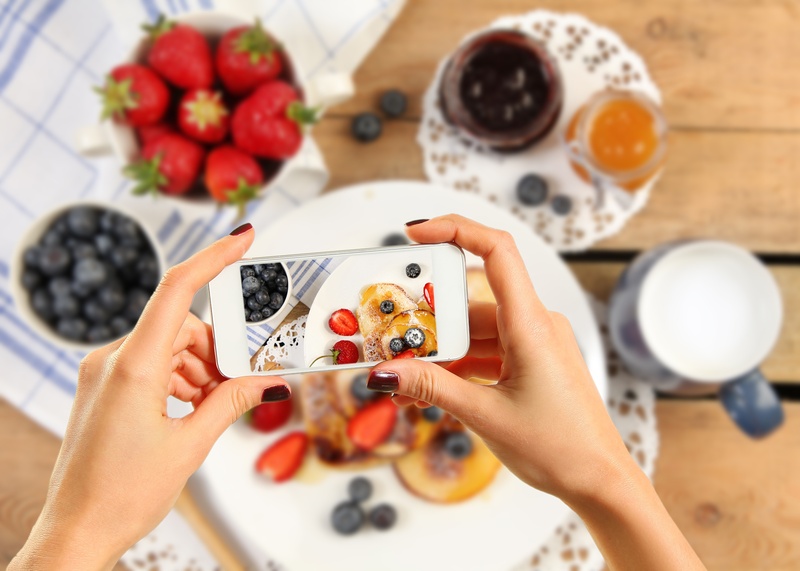 With Instagram being among the top social media favorite for restaurants, we wanted to share with you 8 perfect Easter marketing ideas and examples that could spark some photo ideas for your Easter promotions or Instagram post. @thebakingexplorer shares a colorful glimpse of the "Nest Baked Donut" topped with decorative Easter eggs and lures it's followers over to her blog for the recipe. Using social media to bring in traffic to your website is always a great idea. For example, you might post an image or video and caption it mentioning or encouraging your followers to make reservations and direct them to your bio. Then make sure to provide a link in your bio since it's clickable. Instagram is all about enticing photos and getting the right shot. People are bound to take a photo of their food and share it on Instagram if the presentation is on point so, think picture worthy. Be creative and go with the Easter theme! Decorate your menu items with animal shapes (such as a rabbit, bunny or easter egg). Via @myolivegrove. help redefine one popular chain's social media. Ah yes! @thrivemags really brought it in terms of presentation and I am sure taste as well. The image is crisp, colorful, drool worthy and decorated to the Easter theme. Even though most of us might not be able to actually finish this layered pancake, the presentation is creative. I love how they also added a few different color variations to the pancakes to fit the Easter theme. @franzettas_e.p post is eye catching that you can't miss it. Franzetta was smart to use big and bold font to grab their followers attention because it sure had my attention! What I thought was even a better idea is the fact they are only offering this discount to those who book before a given date. This create's urgency and pushes customers to act as fast as they can. Smart move! @weliketotravel capture's the outside scenery while "enjoying the best time of day," brunch! Not only should you think "Easter theme" but if you have a restaurant with great scenery use it in your image. Customer's love spots where they can take a good Instagram worthy picture so, why not use to your advantage? Not only should you focus on your food items but think drinks! Have fun offering speciality drinks just for Easter such as this one @whitecrowndesign. Stick to Easter colors and don't forget taste as well as presentation is just as important if you want people to take notice. Dessert anyone? The Four Seasons Hotel in Hong Kong had a little fun with their dessert platter. Not to mention @dolcecyn felt the need to share her short review suggesting how good these little treats are. They are "too cute to be eaten." Can we say Instagram worthy? One last thing! Hashtags, hashtags, hashtags! Adding them to your post makes it easier for people to find you, follow you and like your post. The idea is to lure in your followers but also new customers. Kulture Konnect's goal is to add more value to your restaurant and make a positive impact on your bottom line. Contact us today for more information about our social media services (951) 479-5411.